Need a break from the boss? Situated 7 kilometres from downtown Perth, Belmont is a fabulous place to base yourself while discovering Western Australia's sensational capital. If it's your first trip to Perth, you really shouldn't miss Swan Bells Belltower. Don't quit there though. Kings Park and Botanic Garden is another famous sight to tick off your never-ending bucket list. Outdoor Airport Viewing Platform is the perfect location to overlook the surrounding area and enjoy the sunset. When you're done exploring, take a load off at a comfy hotel nearby. 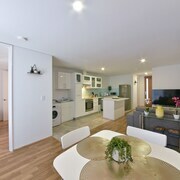 The Best Western Plus Ascot Serviced Apartments and Comfort Inn Bel Eyre Perth are worth a look. On a lazy afternoon, spend a while relaxing in Burswood Park. 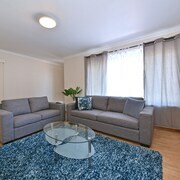 You can drop your bags and catch some Zs at the Assured Ascot Quays Apartment and Country Comfort Inter City Hotel Perth if you prefer to stay near this sight. If you and your mates are having dramas finding the best Belmont hotel, look into our Rivervale hotels guide. 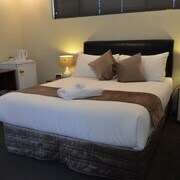 Alternatively, our lastminute.com.au Perth Airport hotels guide will get you staying nearby. Epic views and hair-raising adventures — stop living via your mates' travel feeds! With a little guidance from lastminute.com.au, you'll be having your own unforgettable experiences in no time at all!